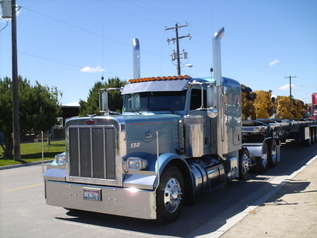 Scott Fulcher Trucking is the premier flatbed carrier of the Northwest. Timely service and professional drivers are a must in this economy and translate into future sales. Don’t trust just anyone with your customers. We now have a premier fleet of refrigerated vans! Call us for solutions to your heavy haul or refrigerated freight challenges. 2013 Copyright, All rights reserved, Scott Fulcher Trucking.